CLOSEOUT / ONLY 4 REMAIN!_____Brand New Smart, Single Family Homes in Sylmar. With 84 new homes, this one is not to be missed. California Home Builders is known for outstanding attention to detail, green and smart home construction backed by stellar customer service. There are two Floor Plans that are both 4 bedrooms and 2 1/2 baths. Cabrillo Collection homes feature Ceasarstone counter tops, walk-in closet, spacious master suite, tile and carpet flooring throughout. Built in Smart Home Technology to control front door camera, front door lock, garage door, some lights and thermostat remotely from iPhone and Android devices. Pre-plumbed for future electric vehicle charging. Energy efficient/Energy Star appliances, "Cool Roof" rated roof tiles, LED light fixtures, LED recessed lighting, tankless high efficiency water heater, high performance windows, high efficiency heating and cooling, solar power system installed. Beautifully landscaped fully irrigated backyards are included. Our standard is so high that many of the included features in our homes, are normally considered upgrades. At the foot of the beautiful Angeles National Forest, The Cabrillo Collection is just minutes from hiking, biking, golfing, Hansen Recreation Area and the Discovery Cube. It is conveniently located near the Metrolink, 5, 118 and 210 freeways. 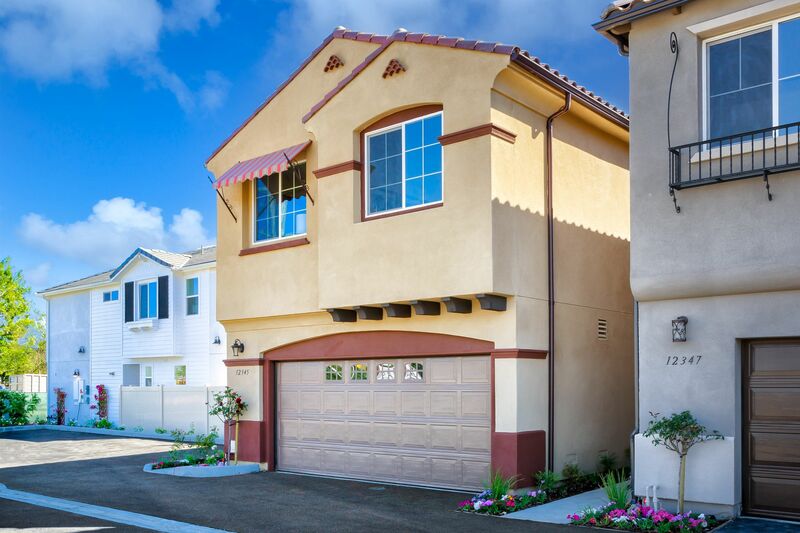 SMART HOMES| SMART LIVING | SMART CHOICE at The Cabrillo Collection. *Buyer must be registered by their agent on or before first contact with the community.